Last date: 19th April, 2019. 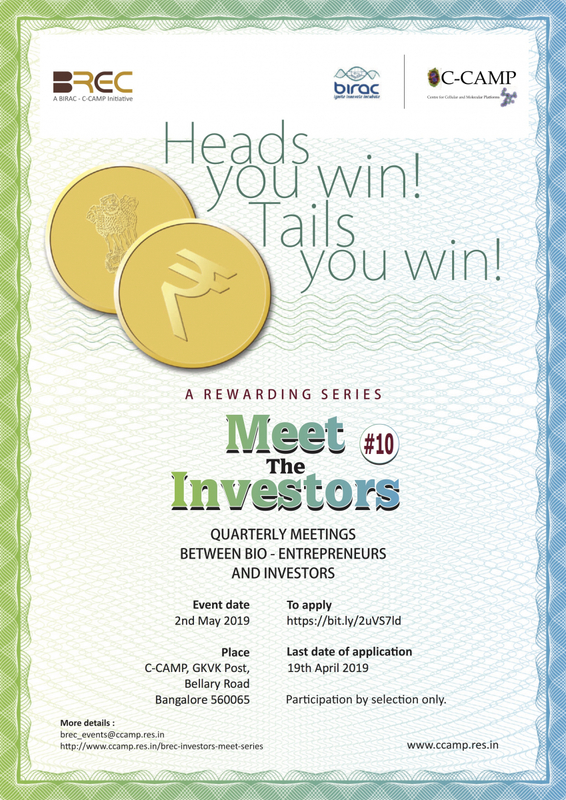 About the event: Meet the Investors Series is a series of quarterly one-on-one meetings between investors and selected start-up bio-entrepreneurs. This series will give the bio-entrepreneurs, who are looking to raise funding, an opportunity to pitch their business proposal to a panel of investors.